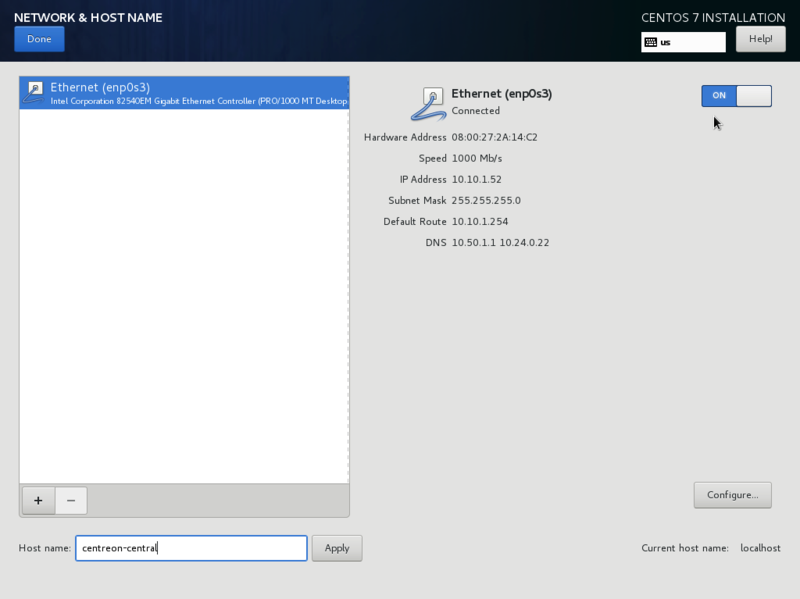 Log into web interface via : http://[SERVER_IP]/centreon. 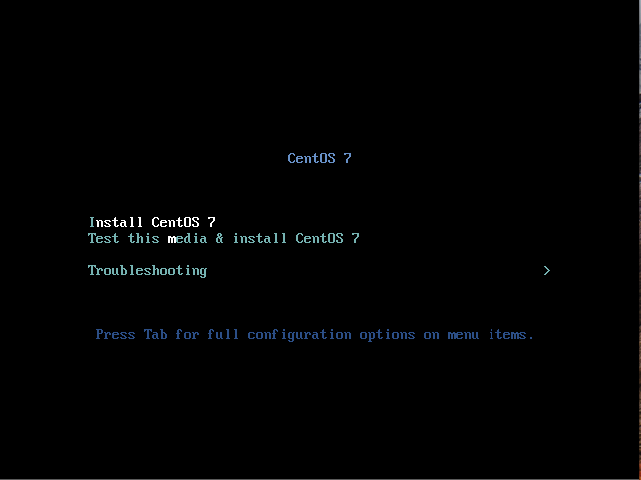 The End of installation wizard of Centreon is displayed, click on Next. 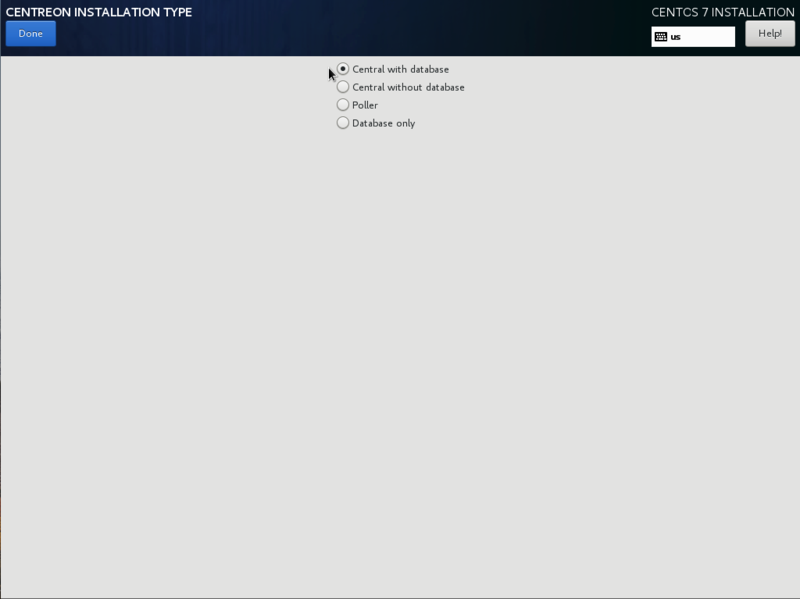 The End of installation wizard of Centreon checks the availability of the modules, click on Next. Define the data concerning the admin user, click on Next. 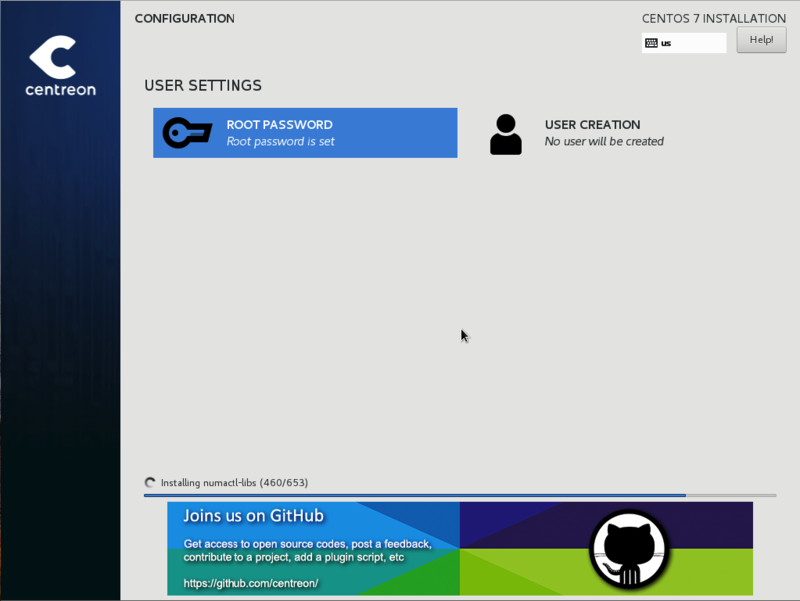 By default, the ‘localhost’ server is defined and the root password is empty. If you use a remote database server, these two data entries must be changed. 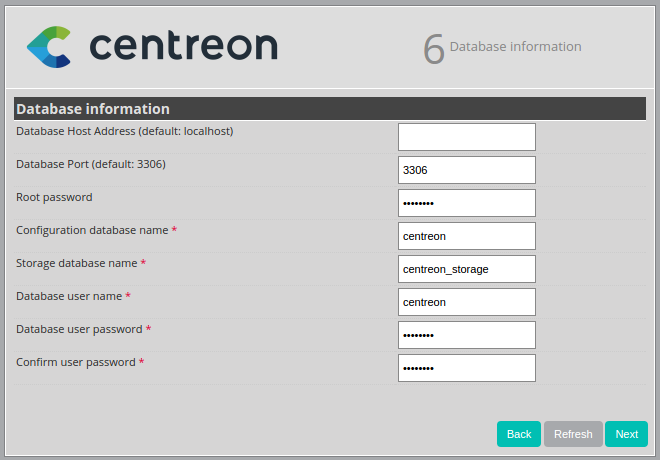 In our box, we only need to define a password for the user accessing the Centreon databases, i.e. 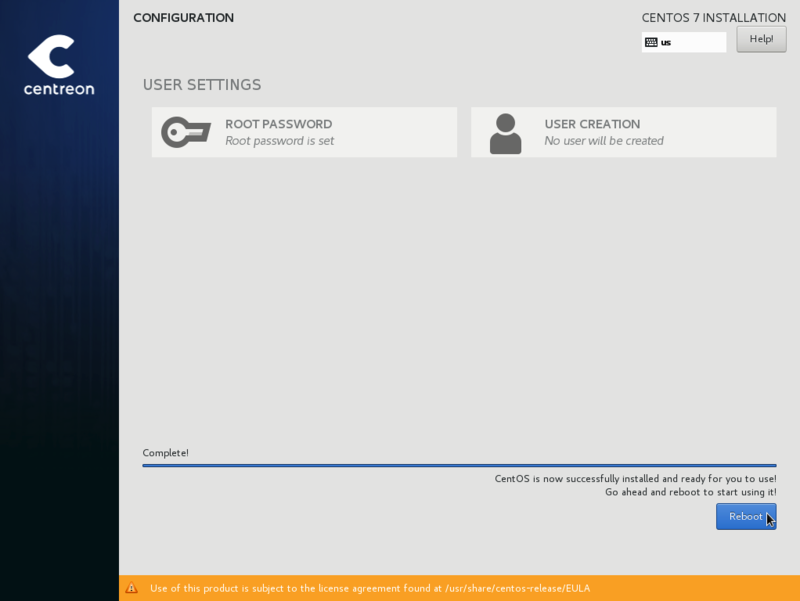 ‘Centreon’, click on Next. 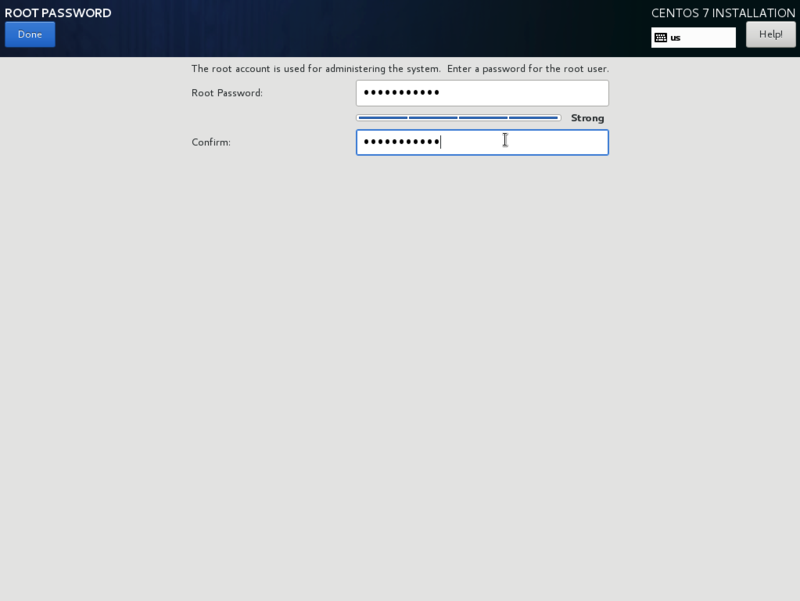 The End of installation wizard configures the databases, click on Next. The installation is finished, click on Finish. 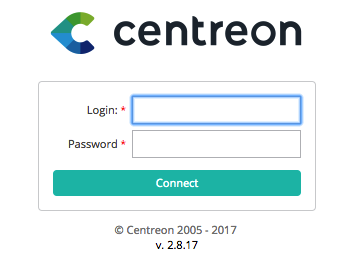 At this stage, an ad informs you of the latest Centreon news/products . If your platform is connected to the Internet, you will receive the latest information. If not, the information of the current version will be displayed. 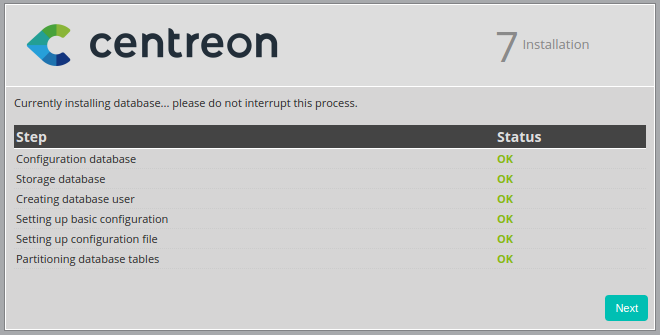 Monitoring is now working. 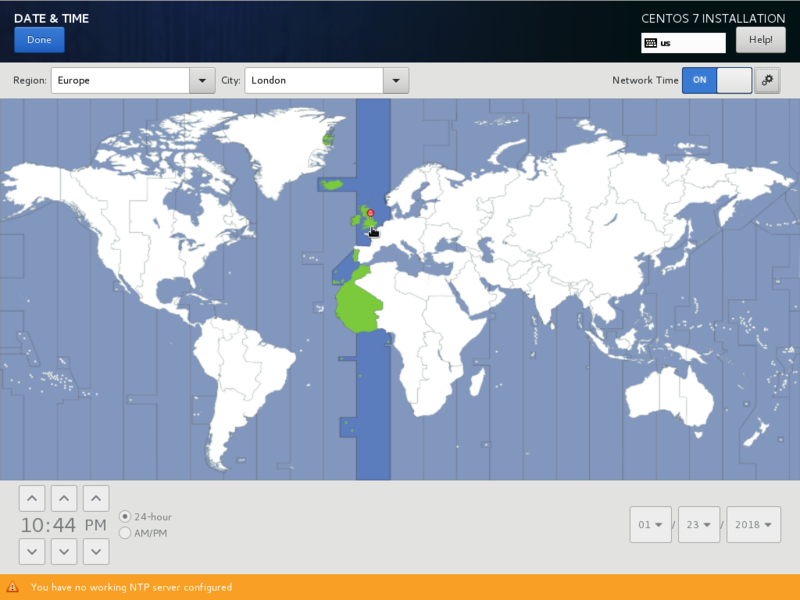 You can start to monitor your IT ! 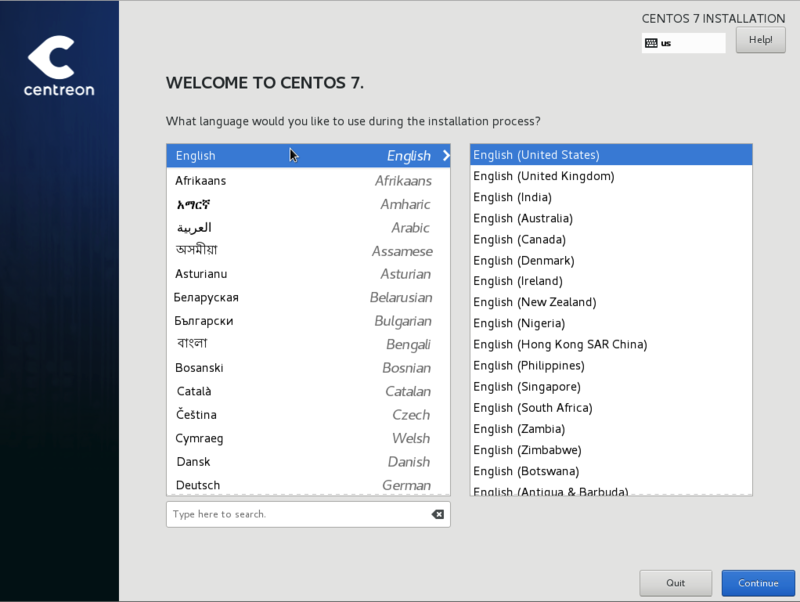 The Home menu enables access to the first home screen after logging in. It summarizes the general status of the supervision. 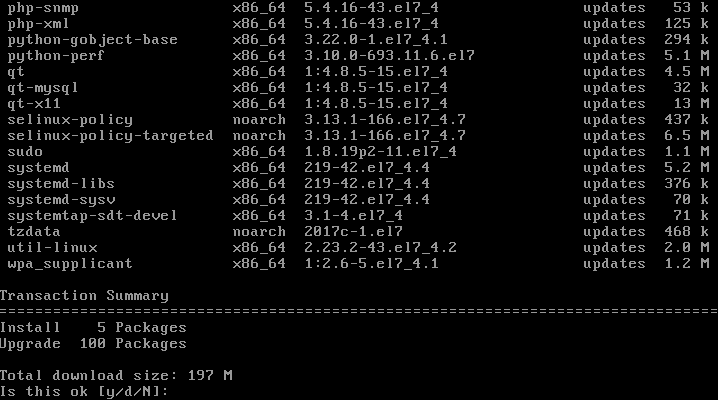 The Monitoring menu contains the status of all the supervised elements in real and delayed time via the viewing of logs and performance graphics. The Reporting menu serves to view, intuitively (via diagrams), the evolution of the supervision on a given period. 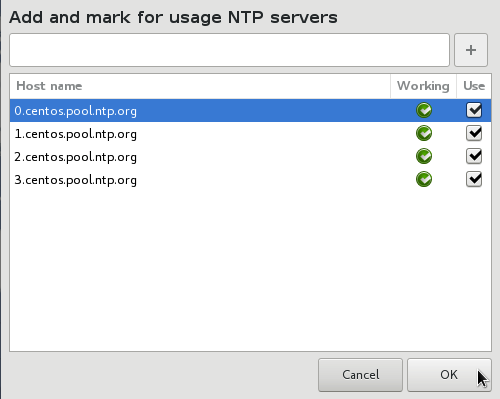 The Configuration menu serves to configure all monitored objects and the supervision infrastructure. 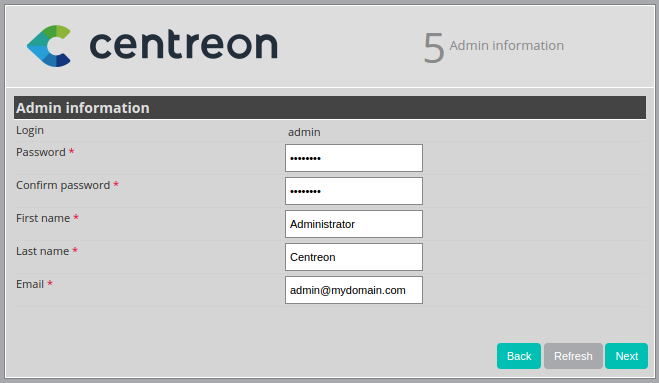 The Administration menu serves to configure the Centreon web interface and to view the general status of the servers. Centreon is great in itself, highly versatile and can be configured to fit the very specifics of your monitored infrastructure. 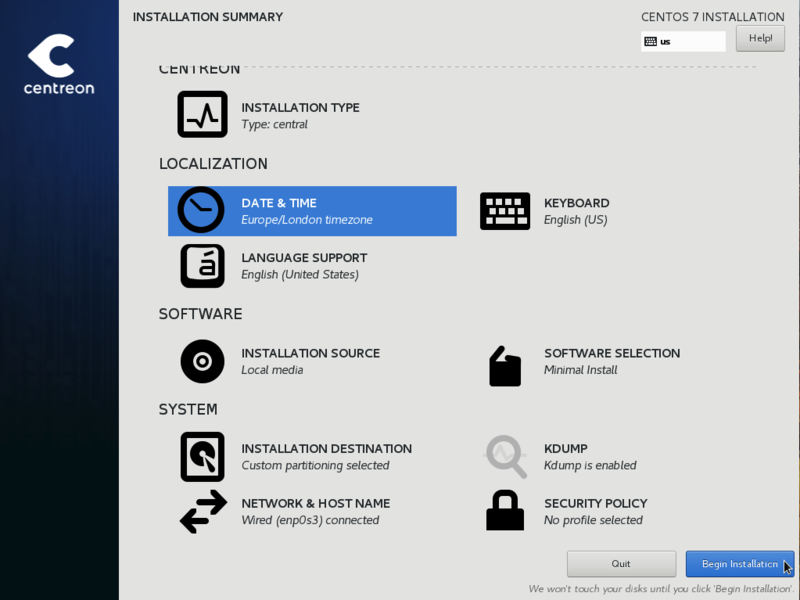 However you might find it useful to use Centreon IMP to get you started in minutes. 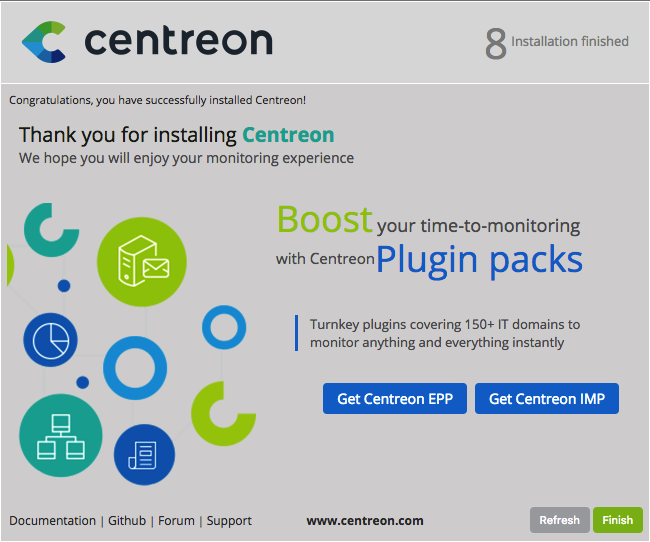 Centreon IMP provides you Plugin Packs which are bundled configuration templates that highly reduce the time needed to properly monitor the most common services of your network. 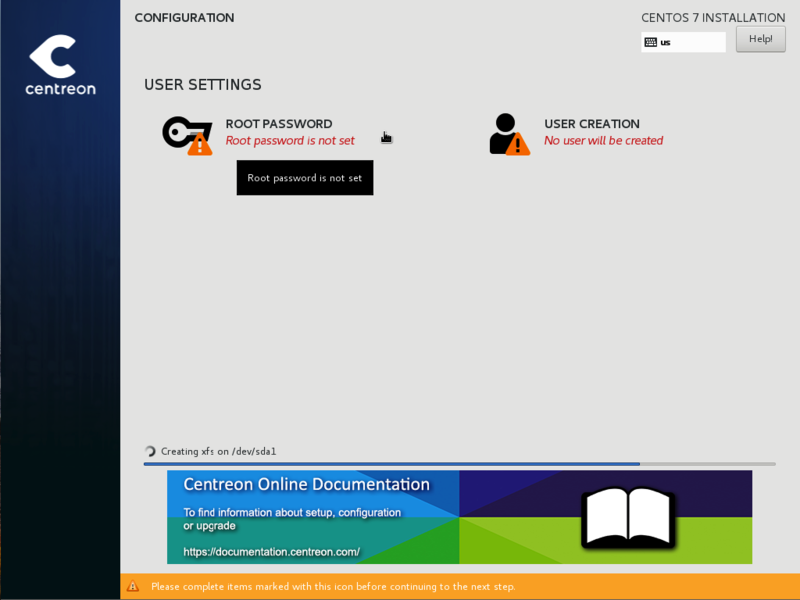 Centreon IMP needs the technical components: Centreon License Manager and Centreon Plugin Pack Manager to work. 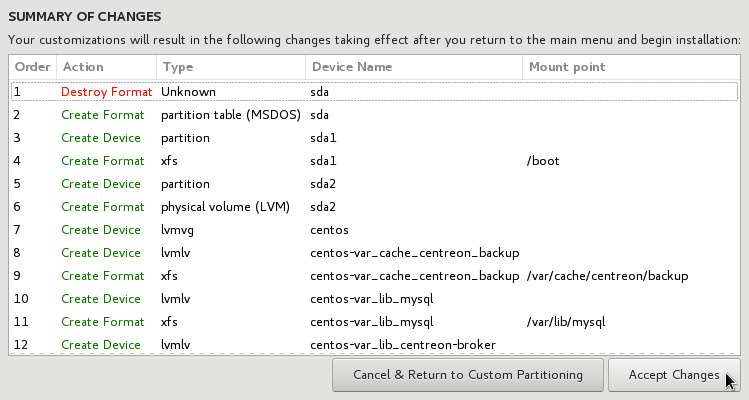 When using Centreon ISO, the installation of Centreon Plugin Pack Manager is very easy. 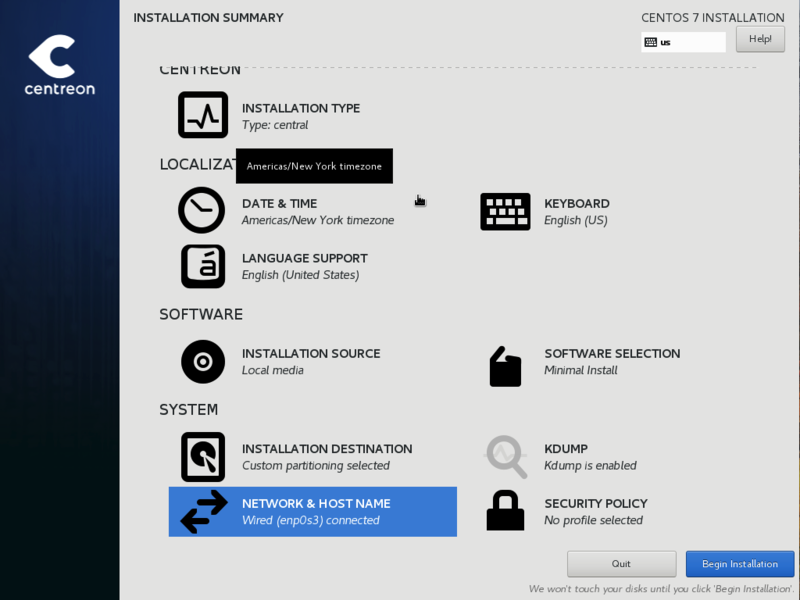 You’ll see that Centreon License Manager will be installed too as a dependency. 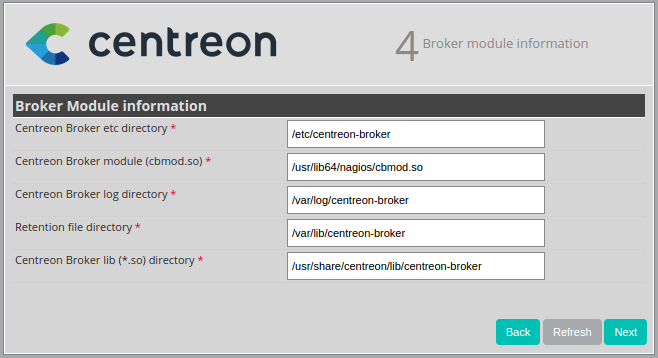 Once the packages are installed, you need to enable the module in Centreon. So go to the Administration -> Extensions -> Modules page. 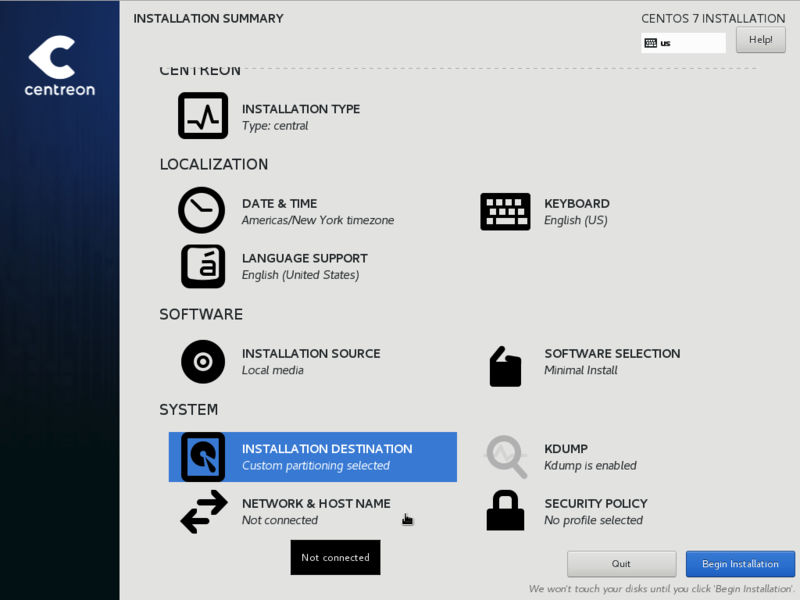 Install Centreon License Manager (dependency of Centreon Plugin Pack Manager) first. 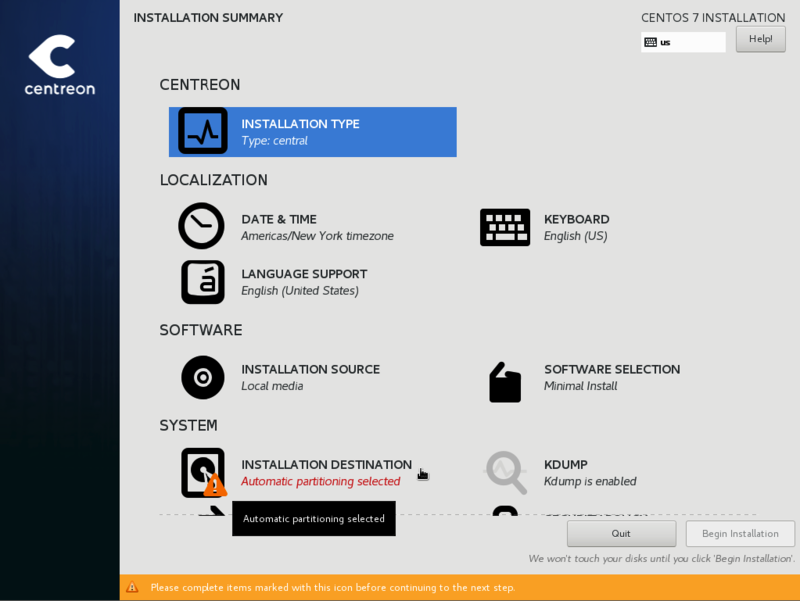 Then install Centreon Plugin Pack Manager itself. 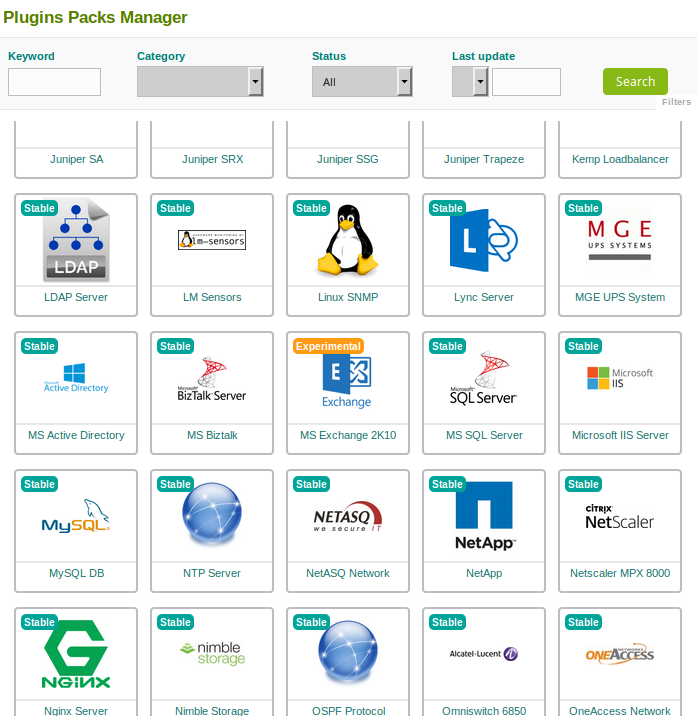 You’re now ready to go to Configuration -> Plugin packs -> Manager. You’ll find there 10 free Plugin Packs to get you started. 5 more are available after free registration and 150+ if you subscribe to the IMP offer (more information on our website). 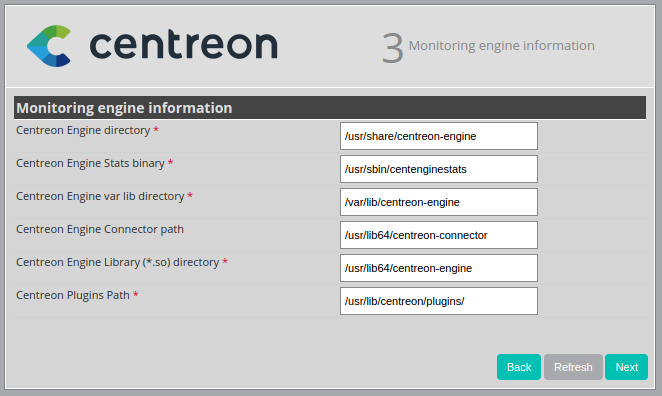 You can continue to configure your monitoring with Centreon IMP by following this guide.